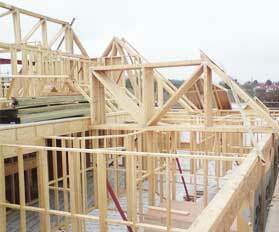 Directline Structures can offer a design and build timber frame buildings package. We deliver buildings which are not only energy-efficient, but which are conceived, planned and constructed with fastidious attention to detail. Timber frame construction has become a common method for single or multiple developments within the commercial sector, where buildings of up to seven stories are regularly achieved. Where appropriate, we have the resources and experience to work with whichever construction technique is appropriate; timber framed or steel framed. We pride ourselves in providing timber frame design and engineering solutions to precise requirements and your unique circumstances. Combined with our manufacturing experience, the flexibility of a timber-framed building is an added benefit to our customers.